This comeback album opens a blast of distortion and a “LET’S ROCK AND ROLL!” In this song, “Rock ‘n Roll Star,” he announces that he’s not quitting and not selling his heart. His mouth and his heart are one. He’s a package deal and if you like it, you’ll have to buy the whole thing. I’m still searching for the volume-level that would make this music enjoyable when I make out the chorus: “Because I love you. Do you love me or not? If you don’t love me, I’ll be sad. I don’t understand . . . [So yes? ]” That Sek Loso charm encourages me to stay for a second song. It opens with an unrepentant “OOOwwwwwk!!! !” And a “Hooah!” He’s having fun. And this time, so am I. It’s totally satisfying rock ‘n roll. Next, he slows it down. 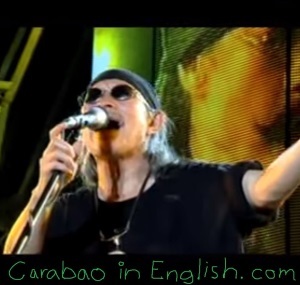 “หาก” “Hak” (“If”) is the first of several softer love songs showcasing that remarkable voice. He follows with the equally compelling “ขอตายใน อ่อนกอด” “Kaw Dtai Nai On Got Ter” (“I Wish to Die in Your Tender Embrace”). The karaoke singer in all of us will want to join him on the heart-rending refrains. The fifth song “พอฉันเป็นตำรวจ” “Pa Ja Bpen Damruit” (“Enough That [I]’m a Policeman”) is an ode to a good policeman with a low salary, who takes no bribes, keeps the peace, and serves the citizens. This cop “loves Thailand like you [honey] love me.” It’s an upbeat, infectious pop tune and is perhaps my favorite song on the album, partly because I know of nothing lyrically similar in English (although it does remind me of several Carabao classics, including “ท ทหารอดทน” “Taw Tahaan Ot Ton” (“The Persevering Soldier’)). The next song “Pom Tam Yu Tee Jai” (“I Do What is In My Heart”) opens with a throbbing beat, more blasts of distortion, and crashing drums. In an ominous minor key, the singer warns us to tend to what is in the heart because—to use the English expression—people reap what they sow. It is Sek Loso claiming responsibility for his choices and recommending that others do the same. In this album, by staying true to himself while admitting his problems, Sek Loso similarly moves to reclaim his dignity. 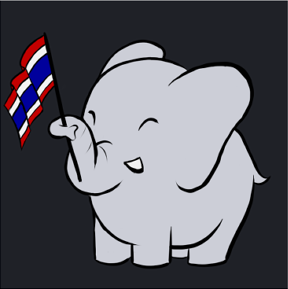 On the cover, Sek holds open his leather jacket to show off a made-for-tourists T-shirt, that says “Thailand” in English, with a flag and an elephant. I know from an interview I heard, that during his illness, his wife suggested they leave Thailand. He said, no, he wouldn’t run from his problems; he would stay and fight. I think the cover means he’s committed to Thailand, and his Thai fans, for better or for worse.